Australia is home to some of the best solar power resources in the world. Although Melbourne is a bit further south than Brisbane or Sydney, there’s still plenty of sunshine to make solar power systems a worthwhile investment, especially when there has been a 118 per cent rise in electricity bills over the last decade! Natural Solar is a trusted name in the Victorian solar power industry. Our local Melbourne solar team supplies and installs the highest quality solar power products available in the market, including the best solar batteries, tier 1 solar panels, and the latest solar inverters. Working with manufacturers such as Tesla, sonnen, SunPower, Q Cells, Fronius and SolarEdge, we guarantee outstanding deals on solar power systems for our customers based in Melbourne and throughout Victoria. Call the team on 1300 060 928 or fill out the contact form and find out what special deals are available to you right now. Wherever you are in Victoria, be it Melbourne, Geelong, Ballarat, Bendigo, anywhere in the state, or even country, we can help you get the right solar power system. If you are considering installing solar panels, or already have them in place, it might be worth considering adding a solar battery to the system. Most solar systems in Melbourne are connected to the main electricity grid. Excess energy produced by your solar panels is normally fed back into the grid, where you can benefit from a feed-in tariff. When your home requires more electricity than what your solar panels are generating, you need to buy it back from the grid. The problem is, the price for buying this electricity is higher than what you sell it for. This is where a solar power battery comes into play. A deep cycle solar battery can be added to your solar power system so that when solar panels produce excess energy, this can be used to charge the battery and store for future use. Electricity will only be fed back into the grid when the battery is fully charged. You’ll only need to buy electricity from the grid when your battery is depleted. Natural Solar currently installs solar batteries from two well-known manufacturers, Tesla and sonnen. 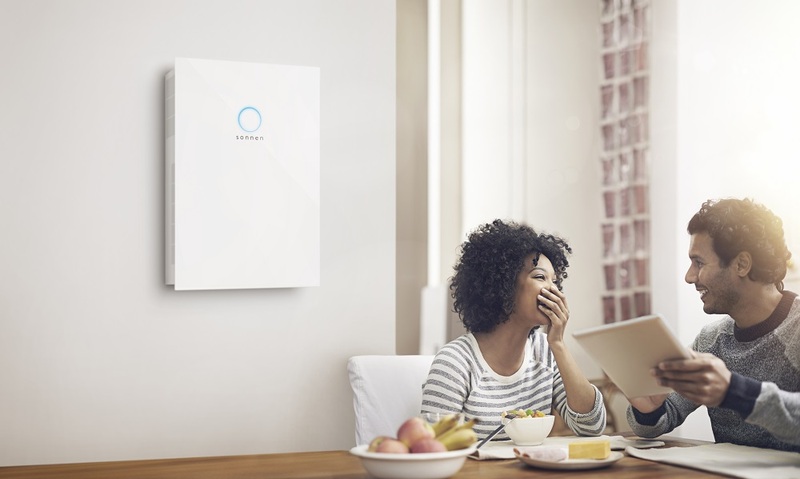 The Tesla Powerwall 2 (next generation Tesla battery) has an impressive 13.5kWh of battery storage, whilst the sonnenBatterie system size starts from 4kWh, and increases in steps of 2kWh increments, up to a huge 16kWh of energy storage. Both offer a clean and reliable energy storage solution for your Victorian home which will save you money with their remarkable list of features. Countless people in Melbourne, and statewide in Victoria, are choosing solar to save money. What better way to save than with $0 electricity bills? Free electricity can become a reality with sonnenFlat, the unique smart energy package from sonnen. As long as you have a 5kW solar system and sonnen battery storage, you are eligible for this amazing package. Customers can get free electricity as long as they stay within the prescribed limit for the year. Contact us for more information. Natural Solar prides itself on quality. We only use ‘Tier 1’ solar panel manufacturers to ensure customers receive reliable and high-performing products in the market. Our solar panel supplier partnership guarantees quality and reliability, with long warranty benefits. Choose from two quality manufacturers in SunPower and Q Cells. Both offer the latest technology, long-lasting durability and efficient performance, whilst having great aesthetics. These solar panels are now even more affordable thanks to the new Victorian solar panel rebate! Solar Rebate Victoria: Half-price Solar Panels! Applications for the Victorian Government’s Solar PV rebate is currently open. Eligible households in Victoria can claim a solar rebate of 50 per cent on the cost of solar panel installations, up to a maximum of $2,225. This rebate is available until 30th June 2019 and is available for systems installed from 19 August 2018. You can apply here. When it comes to battery rebates and Government battery subsidies in Victoria, The Victorian Labor government is set to provide subsidies of up to $5,000 to help 10,000 households across the state install battery storage units in their homes. This incentive has been introduced to make solar and battery storage solutions more widely accessible and affordable for residents of Victoria, and will save households an average 11kWh battery around $650 per year on electricity bills. Solar power is a straightforward concept but the technical details can be confusing. Our Melbourne Solar Team can explain everything you need to know solar power installations, the available products and any questions you may have. We’ve been installing solar systems in Victoria for many customers and we will help you join the thousands of households in who are already part of the solar movement. If you’re looking for a solar company in Victoria, make the right choice with Natural Solar.